Ever since he arrived in Chennai in August 1983 after violence broke out against Tamils in Sri Lanka, S.C. Chandrahasan and his family lived with the hope that in three months they would be back in their motherland. History proved otherwise and his status was reduced to what he called “a person with no permanent address”. His three children received their education in Chennai and got married. Finally, when he landed in his hometown Tellipallai in the Jaffna peninsula in February 2011, 27 years had elapsed. Son of S.J.V. Chelvanayagam, leader of the Federal Party in Sri Lanka and known to his followers as Thanthai Selva (Father Selva), 69-year-old Chandrahasan is now preparing for permanent return and has started renovating his ancestral house. The house at Chelvanayagapuram was a nerve centre of political activity between 1947 and 1977, when his father was alive. “When I first went there, the place was a high security zone. For more than 20 years, no one was allowed inside,” he said. The thick vegetation that had grown around it was difficult to penetrate. After May 2011 the area was cleared for human habitation. Photo: Special Arrangement The house of SJV Chelvanayagam, father of S.C.Chandrahasan. Mr. Chandrahasan, a lawyer by profession, came to India after there were three attempts on his life. 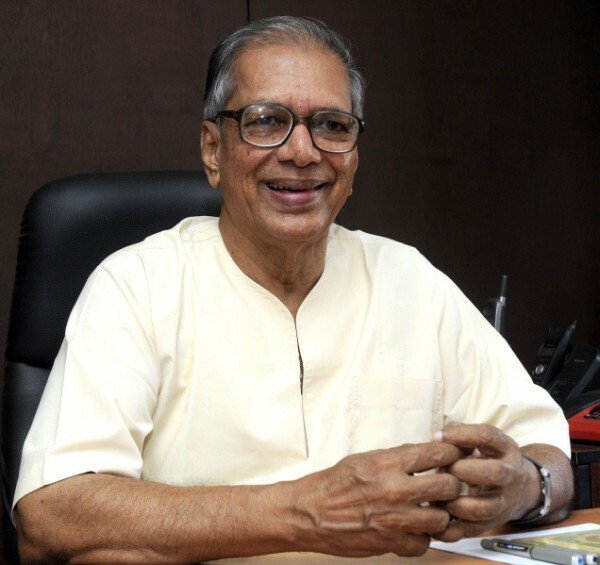 His wife Nirmala Chandrahasan was the head of the Law Faculty in Colombo University. “Initially, I found it very difficult, though the governments of India and Tamil Nadu were giving a lot of facilities. It was not a comfortable life when you are not able to earn your own income and take care of your children. We managed with the support of families and friends,” he said, recalling his initial early days in Chennai. “Colombo was economically quite progressive and a lot of facilities were available. You can buy anything you want. And in Chennai there were a lot of restrictions as the economy had not yet opened up. Many things were not available and we had to adjust to what average Indian people were content to live on. Now, the situation is just the opposite,” he said. Mr. Chandrahasan is now visiting Sri Lanka once or twice a month and has already ventured into organic farming on four acres at Tellipallai. Asked about his political plans, he said he had the responsibility of walking along with his people and to that extent, he could not do something till he completed the process. “We had to adjust to what the average Tamil Naduans were content to live on” says Mr Chandradasan. Obviously Mr Chandradasan finds the current Colombo atmosphere a heck of lot better than where he is now,and wants to give his family the comforts that were denied them for 27 years. Isn’t this a slap in the face for his Diaspora brethren who keep harping about how bad Colombo is, alleging , rapes , abductions ,starvation and every other misery that one can think of. May be Mr Chandradasa hasn’t been reading Diaspora news bulletins about Srilanka. I am happy that finally Jaffna is getting back its important Citizens .Hope this process continues . I welcome Mr.Chandrahasan’s decision to return to Jaffna. It is definitely a vote of confidence for Sri lanka. Jaffna needs men and women like him to return. More the merrier. Being SJV’s son, he will be drawn into politics. I hope he will represent a new type of wise and realistic Tamil politics, and does not become a new bottle to package old wine. That will be calamity. SJV and chandra are different personalities. The house on the picture looks lik SJV’S Tellipali houe not colombo house. Am I right? Wish you all the best Mr. Chandrahasan. Hope there will be a peaceful future to all Sri Lankans. We hope our friends and families would also get a chance to visit to their houses in HSZ in near future. He is setting an example to other Diaspora, but it is too early for ordinary Diaspora to return. Still Sinhala Army is roaming all over north east, and white van duggie’s thugs are still active in the North, and others are in East. I thought his wife is Dr. Naganathan’s daughter! He was our (Nallur) M.P for a long time. Does this mean you have Rehabilitated your refugee status??? I thought the Army turns LTTE cemeteries into Army camps in Jaffna but you want the army to turn a residential house into a cemetery? Why cant the army let a cemetery be a cemetery and a residential house be a residential house? Soldiers dont do this in the South do they? When we were doing a case together in Trinco District Court(which happened to be his first case in Trinco) Chandrahasan received a Telegram. It was 1971 and there were no mobile phones and consequently SMS. I asked him what it was about and he told me that it was his B’day and his wife has sent it wishing him many happy returns of the day. It was 12th of May which happened to be my B’day as well and we celebrated it together with a lunch at Hotel Club Oceanic. Then when I left for U.K.in 1975 for higher studies(I returned to my homeland anyway)he could not come to the Airport but he sent his father’s car with the driver. It was a gesture and privilege I will never forget.I will never forget too the privilege I had 25 years later to contest the general elections as the lead candidate of his father’s party in Trincomalee in the absence of Mr.Sampanthan, which privilege unfortunately Chandrahasan did not have.It is good that he spent his time helping the S.L. Tamil refugees in Tamil Nadu. He and ‘Hindu’ should not forget that it was his father, the ‘Ceylon Gandhi’, who wanted the Tamil Youth to throw themselves fully into the sacred fight for freedom and flinch not until the sovereign goal of Tamil Eelam is reached. One has to think what made him to say so after fighting for years in a non-violent way through satyagraha and negotiating in a peaceful way to solve the Tamil National problem.One has to think also as to what made him to go to Tamil Nadu as a refugee in August 1983 inspite of his friend (and my acquaintant and Co-Voet Inner)Gamini.D was a powerful Minister in the then Government which was the cause for the 1983 Pogrom against Tamils.Sadly the situation does not seemed to have changed except for the fact that many who were in the UNP have now joined SLFP and become Ministers. Chandrahasan returning to SL is not a vote of confidence for Sri Lanka as Dr.R.Narendren states.The conditions have not changed and the rulers would seem to be in the same mind set and so are the other spoilers.No one seems to be ready to face the root cause for the National problem and solve it.Not recognising the problem is not the way to solve the problem. You reveal so much about yourself but use a pseudonym. Why use a pseudonym if you expose yourself openly and why reveal so much if there is a real need to use a pseudonym? You seem to have conveniently left out the last sentence of the paragraph in reference to the situation in Chennai which reads as “‘Now, the situation is just the opposite, he said.” You hypocrite.Why dont you change your attitude man? It makes the intelligent readers sick! Why are you so dumb and act like the a real ‘modaya’ ? Totally agree with him. In early 80’s, India was 20 years behind Lanka. Today, Lanka is 20 years behind India. Thank you for the photo. It kind of refreshed my memory a bit. I used to go there and play. It is sad to see the house in this status but it is no different to any other is it? Kalu putha, any person with less than average intelligence can argue any topic to his advantage, but only someone with above average intelligence can analyze.. so please lave the analysis to the more intelligent – OK, putha? Chandra is going to Tellippallai and not Colombo.. he is going there because he is old, and would like to be around his people, instead of dealing with the conniving politicians. He knows he won’t be harassed as long as he keeps out of politics in Tellippallai, and which is precisely what he plans to do. I have a Tamil friend of mine who lives in Colombo, speaks fluent Sinha language, and is married to a Sinhalese woman. In 2010, I recall him telling me he was afraid despite his connections to Sinhalese… that was the state then. So why is he still there? He joined the looting politicians and is making heck of a lot of money.. and he has got his permanent resident status in a foreign country last year.. so you see? People are still leaving.. Although idiotic comments like the one from Shans, does not desreve attention, there is a positive and relevant point there. Mr Chandradashan’s ancestral homestead has great importance to the cotemporary history of Srilanka. 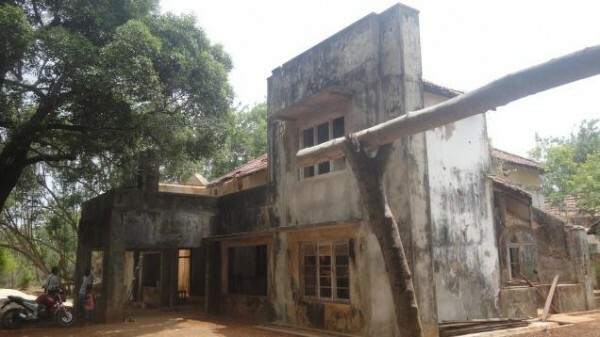 It is the home of one of the most popular Leaders of the Jaffna Tamil community, who played an unparalled part in the early post Colonial era. He was closely associated with the Leadership that shaped the post indipendent Srilanka. It also has great significance from an Architectural aspect, as this Homestead not only reflects the trend in house consrtuction in that era, but also the tastes and the sophistication that the rich and powerful expected in their mansions. Therefore this Homestead is a very rare specimen in that region, and has great historical value.. It must be restored to it’s old glory and anyone who appreciates good things should thank Mr Chelva Junior. And the Govt which has put in place good policies to protect historical buildings, like the houses in the Fortress in Galle, should assist Mr Chandradashan if there is a need for assistance in its restoration. I think no one else noticed the Organization of Eelam Refugees Rehabilitation. And the website http://www.oferr.org/home.php has “OfERR Ceylon” and a link “Eelam Update”. What happened to you? Your second posting here is unlikely to have come from you. You had a nightmare I presume where the devil demanded either you change your thinking or else that you have a place reserved in hell! You seem intelligent and impeccable in the Queen’s language but unable to see what is right and what is wrong as regards developments in Srilanka on the ethnic side. Well, given TNA under Sampathan has failed, perhaps he can take on the leadership. I welcome change in direction viz-a-viz democracy. This means ditching his fathers “Tamil and Sinhala parity” fatwa. It has overhung above the Jaffanese like a bad omen giving all kinds of problems. Ideally a Fatwa is lifted by the owner. In this case the son of the owner may just suffice. In response to Udarawana, Pro Bono and Sugar Ray, one may ask Chelva Junior is coming home if the things in Madras are taht superior to our Colombo. Mr.Chandrahasan has visited Sri Lanka several times since the war ended. If I remember right he has had contacts with the government at the highest levels. He apparently thinks the time is ripe/ right to return. He also thinks he can use his vast experience in dealing with Tamil refugees in India, here in the north and east. This is definitely a vote of confidence on Sri Lanka. I hope he can flag a new type of Tamil politics. Further, the so-called ‘National Problem’ has to be re-evaluated and re-defined. The ‘National problem’ is much broader now and affects all the citizens of Sri Lanka. Our problems are concerned with adherence to consitutional norms, rule-of-law, equality for all before the law , depoliticization of the system, quality of education and truly democratic governance. The monster we have developed over time- ‘a democratically elected monarchy’- has to be reformed/changed and a truely democratic system with institutions that are more responsive to the needs and sensitivities of all peoples and consonent with the requirements of the 21st century and beyond designed. Federalism, the 13th amendment and the effete Provincial Councils, and even a Tamil Eelam are no longer the answers. The answers have to be found within a united, unitary and probaly more centralized Sri Lanka. The solution has to address the needs of all Sri lankans. I am sure this will sound utter treachery to many Tamils. However, it is the reality we have to find accomodation within. When I said That the malaysian Born SJV Chelvanayagam old house estate should be turned into a cemetery.. this includes the LTTE cemeteries should be included as well.. That place should be turned into a civil war cemetery where the grieving families go to mourn the dead of the Civil war.. So mr Chelvanayagam son can see and wake up to what his fathers actions have cause the country… And this should not also be restricted to him. but also include the bandaranayake estate made into a civil war cemetery.. When the off spring of these families wake up and see the thousands of lives that have costh this country due to their power hungery politics.. seeing the dead in their own houses will taim the beast. When SJVC was alive, he never accomodated Chandrahasan in his politics. Chandrahasan, Eelaventhan and Sathyendra were expelled by India as suspected CIA operatives during the THIMPU talks. I dont know how Chandrahasan allowed by India to stay so long in Chennai! He married a daughter of E.M.V.Naganathan who had no roots in Jaffna.Naganathan married in Chenai Kudiyiruppu,Puttalam. Most of his wife’s relatives are now Sinhalese in Puttalam. As some commentators view,the return of some retirees is not an endorsement of the state or its methods;They return because of nostalgic reasons. The pull of your land of birth is too strong. it is really heartening to read about chandrahasan’s homecoming.it augurs well for srilankan tamils.we need people like chandrahasan who is well educated and has credibility which is in dire need now in tamil north and east.chandrahasan should join a political entity like tamil national alliance he can join hands with rising star like m.a.sumanthran in highlighting the problems faced by tamils in north and east.secondly i am very happy that kalu albert who is known for his radical view has changed tack and has sensibly rubbished shans view.sinhalese have to introspect and if they do that srilanka has got a glorious future. Certainly many in the Tamil diaspora must be fuming in anger after reading this, because it means that things are actually so much better on the ground that people like Mr Chandrahasan are returning from their exile. This would in some way sabotage the Tamil disapora narrative of “boycotting a genocidal state.” Clearly things have improved since the demise of the Tamil Tigers. I am surprised at Dr.Narendran’s remarks that Chandrahasan’s return is a vote of confidence on Sri Lanka. Why should he defend Sri Lanka so desperately? Chandrahasan himself has admitted in his interview with BBC Tamilosai that things are not quite conducive for a normal living. And also his advice to Chandrahasan as to what kind of political path he should follow is ridiculous. Dr. Narendran should not think that his way of thinking is always right. I am afraid if he is under some kind of pressure by some interested parties to follow this line…. like Douglas, Karuna and Pillayan. It looks like he has become a political pawn! I pity you Dr. Narendran! Although someone has reffered to Mr Chandradashan’ as an old man coming home to re establish his roots to his homeland, a heck of a lot of diasporians who are 69ers wouldn’t think that they are old. Yet these Diasporians are vegetating in their new homelands , with boredom,depression,and outright feeling of uselessless,especially among the ones who were well off and well connected in Srilanka. If they follow suit with Mr Chandradashan, they also can lead a useful and positive life without being a burdon on their children. It may also give them a positive frame of mind without the feelings of hate and revenge istalled by the LTTE propagandists. Diaspora funds that sustained the LTTE can be diverted to build nursing homes, libraries, health centres, gyms and even a couple of Golf Coourses like the one in Trinco. This will be a sure fire win win ,for the Diaspora and their inhabitants cousins. why clouds walk along with Buddah as an umbrella? we feel comfort with your arrival. Eelam will florish with 3 shovers! Thalai lama also will empowered to get back Tibet! we pleaced to hear our Eelaththuppan here. You are absolutely right. How can things me ‘Normal’ yet? Were they condusive and normal during the duration of the armed conflict and at the end of the war? However, things are moving towards the normal. That is what matters to me and I am hoping Mr.Chandrahasan can play a role in this process. I have my way of thinking and you your’s. I have the right to espouse mine and you your’s. Unfortunately you have not espoused your’s. Rather than making me the centre of your comments, respond to what I say and suggest alternatives. Further, I say what I say under my name, while you trying to malign me with your stupid comparisons, while hiding under a false identity. Dr. Narendran always suggests that people should use their name when commenting. Can he guarantee their safety from the “white van”, Paramilitary, from the Sri Lankan “heroes” and the private army of the politically powerful? Dr. Narendran, do you honestly believe that we can make our opinion criticisms openly and without any fear of white van chasing us. You can because your opinions toe in line with that of the govt. No way I can express my opinion without fear. I am sure you know what happened to people who expressed their views courageously! Anyhow it is my name and I take a change. Hope I won’t be in trouble. I never intended to hurt your personal feelings. I always see your honesty in them despite my disapproval. That is the only reason I make comments on your comments. And I look forward to a decent response from you not the one like….”your stupid (comments)” etc. That I definitely believe does not reflect your high intellectual quality of thinking. We have all heard of the old cold-war era joke where an american challenges a russian that he could shout “death to US president ” in front of the white house and get away with it and if he can do that in red square. For this russian’s reply is” if i do that ,i will not only get away with it,but also get a medal from our president”. I resent the unwarranted comparison you made. I consider it below the belt. I did not call your comment stupid, but your comparison stupid. Further, I believe we can yet express our views in a manner that does not provoke the ‘White Van’response many seem to fear. We have to say what we have to say. This is the time to do it. But what we say has to be objective, non-partisan, truthful and fair. What we say would have no meaning when said under a false identity. The punch is lost, however strong the words may sound, when the men/women behind them prefer to remain unknown. This is cowardice. This is same cowardice permitted the LTTE and other militant groups to hijack a valid cause. It is the same cowardice that made the extreme Sinhala elements and the GOSLs to ride rough shod over us. We should not think we are a brave people, because some of our youth decided to be brave. We were men, who left our wives and children behind in trains, and ran away, when the trains were attacked at Polgahawela! It is easy to be card board warriors from behind the cadjan fence. During the Russian-Turkish war, a Russian mother was helping her soldier son pack and adviced him to kill as many Turkish soldiers as possible. The son in response asked, ‘What happens, if they kill me?’. The stunned mother responded, ‘Why should they kill you? What have you done to them?’. When we get into a war situation, we have to kill and have to get killed. The one who wins, in most occasions kills more, unless the party facing defeat surrendered early enough. The Paksitani army did this in East Bengal. Wars are immoral and do not behoove us as a people. Once we become a party to a war- especially one we instigate and crave- we have to accept the consequences and move on. I find many Tamil attitudes in this regard nauseating. Further, we have to also recognize that most Tamils who bore the brunt of the war feel that they were liberated from the LTTE by the armed forces. Unfortunate, but true. This attitude or blindness is inherent in many of the comments I read and opinions I hear, especially from those who have not been in contact with the war-affected people or any where near the war-affected areas. This is sad. Following on from Shan’s ‘Cemetery’ comments, I would say that the whole island of Sri Lanka should become a War cemetery. General douglas macarthur said,when he was chased out of phillipnes by the japanese”i’ll be back”. S.C.Chandrahasan does not have his contemporaries in active politics any longer. Many have been eliminated by government or LTTE or in-exile. The middle class nationalists have made greater contribution without betraying the cause of the masses, in the interest of masses or without joining the ruling elite. The success of nationalists depends on incorporating the oppressed of the oppressed and mobilise the whole community in a horizontal relationship for fundamental change. The leaders like Lenin, Castro or Che did well in their thoughts and aims have demonstrated that they were credible leaders who thought of revolutionary ideas. I would have preferred to Martin Luther King Jr’s way of bringing in Sinhalese for the oppressed cause of Tamils by clearly mobilising the opinion against hatred and irrational violence. Additionally a movement against irrational fears of all communities and reeducate them with new thinking. SCC made an impact whenever he was in active politics for the good or bad.I could not support the idea of DDC in 1981 with Dr. Neelan ThriuChelvam. But the 1981 anti Tamil pogrom has changed all that. He was instrumental in shaping up events in the 1983 anti-Tamil pogrom. He was NOT part of TULF campaign. He chose to organise his own organisation TELF with Kovai Mahesan and Eelaventhan. He was close to India, Tamil Nadu or even Sri Lankan ruling elites because of his father. He was able to resist joining other diaspora community in Western Europe and traded places with with down-trodden in South India. He could have established business of his own but it is beyond his apprehension to think for himself. His radical political stance got him deported from India and as a lawyer he managed to beat the system by refusing entry into United States and returned back – a chance hardly Sri Lankans will miss. His children also have to put up with frugal living in Madras and his wife being not only Naganathan’s daughter but a leading academic. His roles working with SL refugees have established his credentials. He has been working without publicity for a longtime including in Sri Lanka which will put any new comers to shame! TNA is not magnanimous to invite him in. TULF reflects the on-going sentiments of autocracy. Tamil arangam has been engineered to fissile out. He will hesitate to accept any invitation from ex-militants. He cannot commit political suicide if he choose to identify with major Sinhala parties. His son Elango is loaded with talents and vision! SCC is left with unacceptable choices of others or start something anew. The choice is clear. On May 14, 1976 the Tamil United liberation Front (TULF) was formed. A resolution to establish an independent Tamil Eelam was adopted at the TULF convention held at Vaddukkodai. This is called the Vaddukkodai Resolution. Taken from a web page. Just to note that the entire TULF sans one was murdered by the LTTE . Here is a web page where you can find the Vaddukodai resolution. After reading this I just noted that this was a declaration of War upon Sri Lanka. Seeming to accomodate Migrant Indian tamils into Eelam whereas they are looked upon and lower caste. To get numbers promising equal status. Talks about abolishing of caste amongst tamils – recognising the same but did that happen? Just to get support for Eelam and after that back to caste system. talks about giving citizenship to any Tamil speaking person – targetting support from Indian tamil diaspora commonly called NRI. You might say that bandaranaikes Sinhala only and various other issues led to this, But in my Opinion with the Vaddikodai resolution the TULF openly declared armed violent War upon Sri Lanka and now that war is LOST. Now you cry about excesses and a dead body of prabakharans child. Now I understand Tamil politics better. Mr Chandrahasan must be free to do what he likes to do. I remember meeting the cultured Nagendran family and their great lovable physician father in the 1960s and specially Mrs C’s brother “Jerry Wawa “at a mock trial at Peradeniya University. The name of Rosemary Moonamale for the sake of the trial also, I do remember. When young Mr C was addressing the Supreme Court JJ , Jaffna boys would rush to watch his very ,very slow deliveries with his leg on the chair; a style of his. It was also observed often how CJ HNGF used to take snut from his nose, make balls with his thumb and the index finger drop them on the floor while listening to addresses of lawyers and then clean his fingers with a well-starched handkerchief. Chandrahasans may be a controversial figure as observed by Tamils as well as Sinhalese. If Rajapakshas could invite REAL CLEAN & EXEMPLARY ELDERS/ GENTLEMEN like DIG SUNDARALINGAM AND HIS CLASSY WIFE & FAMILY TO RESIDE in S.L., give them positions to train the young so that the young could emulate them , that will be a real contribution to propagate amity amongst different groups in Sri Lanka. Of course , the Diaspora majority and those who are sympathizers of the LTTE will not like such a program as they are either so called high caste /high class people among the Tamil Community. Yes, now Colombo looks like slum from our chennai view! I think the great person do not know any think what happening here……..